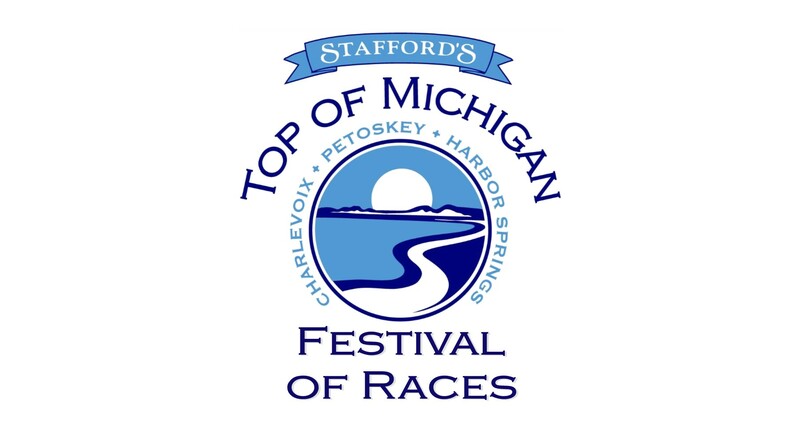 Stafford's Top of Michigan Festival of Races includes a USATF CERTIFIED COURSE to benefit the Top of Michigan Trails Council and the Petoskey and Charlevoix High School Athletic Departments. 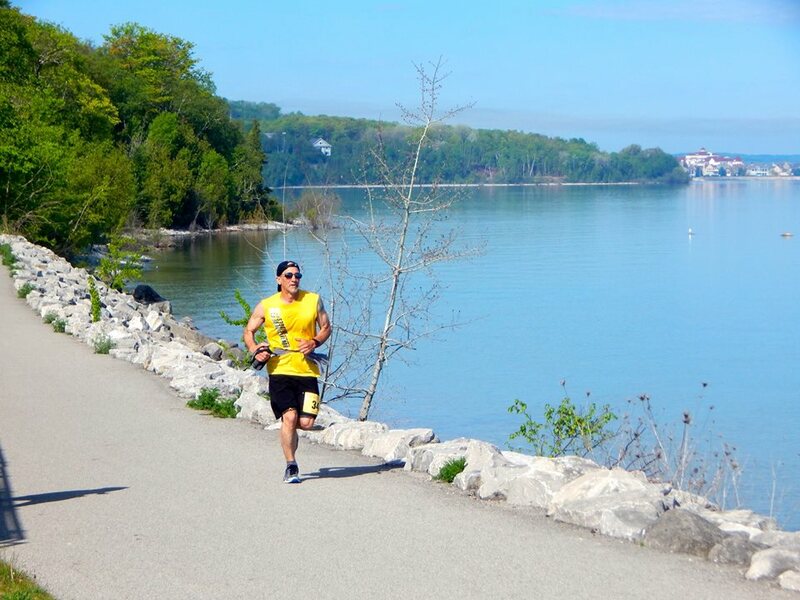 The Marathon race will be run on a beautiful course made of asphalt starting in Charlevoix, through Petoskey/Bay Harbor and finishing in Harbor Springs. The trail is an excellent venue for runners stepping up to a marathon or for seasoned runners looking for a fast time. The trail is relatively flat and perfect for getting a qualifying time for other races. The trail has spectacular views of the Little Traverse Bay. YES, this is a qualifying race for the Boston Marathon! The Half Marathon is on the same course and begins in Bay Harbor and finishes in Harbor Springs. The 10K starts at the Top of Michigan Trails Council's Packy Offield Trail Center and also finishes in Harbor Springs. There are two 5K races. One starts and finishes in Charlevoix and the other starts and finishes in Harbor Springs. The Marathon course is primarily run along a beautiful point to point asphalt trail (the Little Traverse Wheelway), starting in Charlevoix and finishing in Harbor Springs. A road section connects the downtown areas with the Wheelway in Charlevoix. A small portion of the Marathon and Half Marathon will be on a grass surface through Bay View, to avoid vehicular and pedestrian traffic through that community. The route veers off the Wheelway north of Petoskey at Beach Road, and follows local roads through a scenic resort area along the bay. All races end at Zorn Park in Harbor Springs. The course is not closed to vehicular traffic. There are many road crossings–many minor and a few major–along the course. Runners must be aware that traffic will not stop and they must be extremely cautious, as they will have to stop and yield to oncoming traffic. We will have course marshals at major intersections, but runners must be aware and cautious approaching all intersections. A shuttle will be available in the morning from Harbor Springs to Charlevoix for the marathon and from Harbor Springs to Petoskey and Bay Harbor for the 10K and Half Marathon. Weather is variable in late May so be prepared for anything. In case of extreme weather the event may be delayed or canceled to protect the safety of participants and no refunds will be given if the event is canceled. The marathon starts at 7:00 am at Bridge Street at W Dixon in Charlevoix. The Half starts in the Village at Bay Harbor at 8:00 am. The 10K starts at 8:30 am at the Packy Offield Trail Center, 1687 M 119 in Petoskey. The Charlevoix 5K starts at 8:00 am. at the Marathon start line on Bridge Street in Charlevoix. The Harbor Springs 5K starts at the finish line in Zorn Park, Harbor Springs at 8:30 am. Course closure for all races is at 1:30 pm, so marathon runners will have six hours and 30 minutes to complete the race; half participants will have 5 hours and 30 minutes. Runners on the course after that time must provide their own support.